Are you studying 2D shapes? 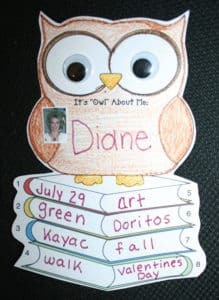 If so, I think your kiddos will enjoy these cutie-patootie shape owls. Back in 2009 I designed Silly Shaped Penguins. Since they were such a popular FREEBIE, over the years I have added to the menagerie. I thought owls would be perfect for fall, especially if your school doesn’t celebrate Halloween, and you’re looking for that little something different. You can use these as a “Shape knOWLedge” bulletin board, or as flashcards, or . 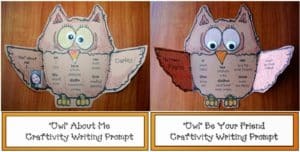 . .
for hands-on fun, have your students choose their favorite and create one of their own. Older students can write the shape’s attributes on the back. Punch a hole in the top and suspend from the ceiling to swirl & twirl. I used brown paper, but you could give bright or neon-colored options. I’m sure your little princesses would enjoy making a hot pink one. 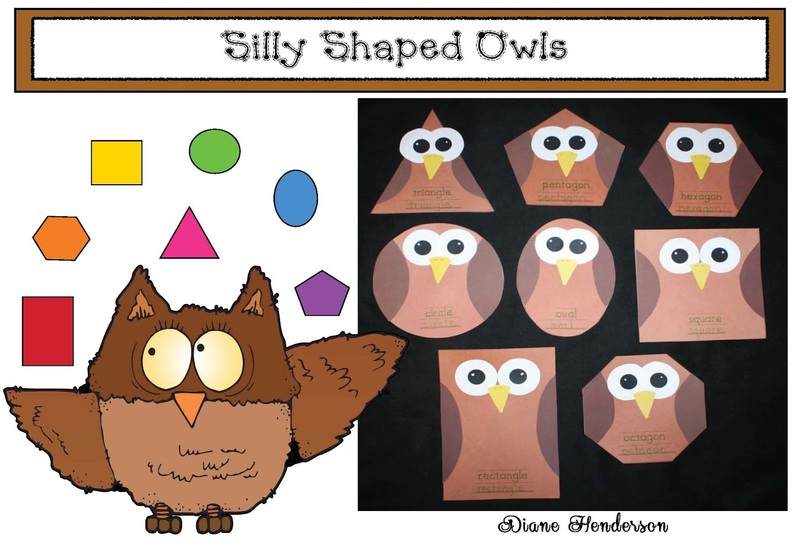 Click on the link to zip on over to my blog to grab this fun fall FREEBIE: 2D Silly Shaped Owls.